Reflections, Seine River, c. 1950; ink on paper, 10 1/2 x 8 1/4 in. I rarely write about artwork that I've seen only in reproduction, but sometimes I come across a catalog with contents so exciting that I must share them. 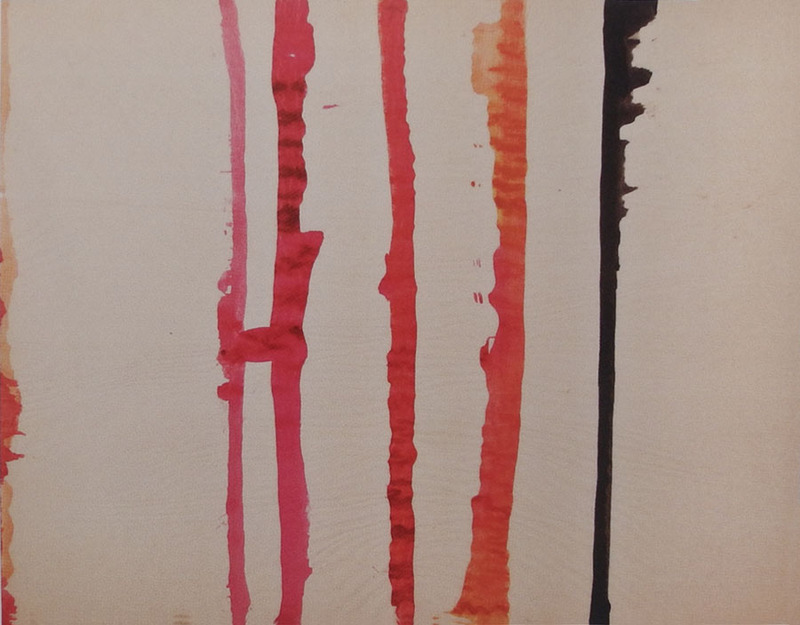 Before I saw any of Sheila Hicks' miniature weavings in a gallery, I fell in love with them from the catalog Sheila Hicks: Weaving as Metaphor, and wrote about the work here. 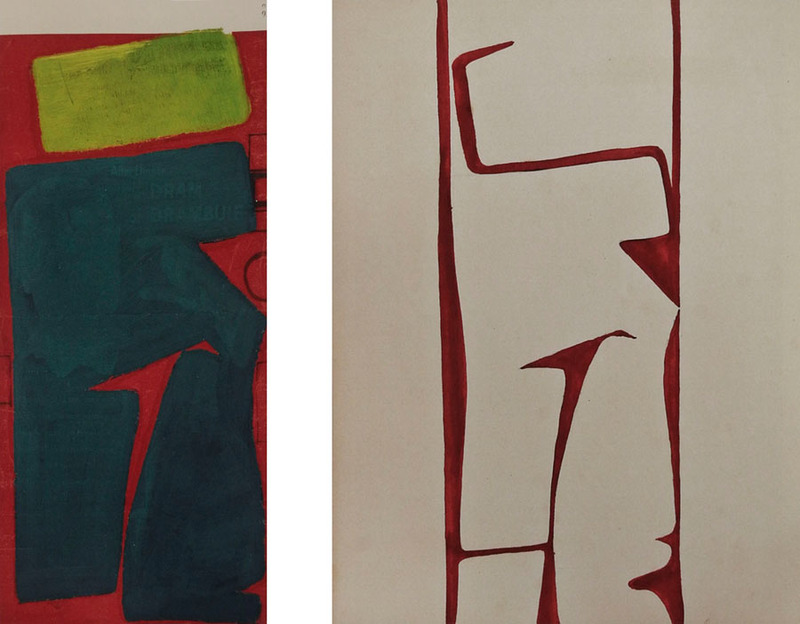 I was recently again smitten by work that was new to me in a catalog, in this instance the early paintings and drawings of Ralph Coburn, a Boston based artist and designer born in 1923. The simplicity, clarity, and immediacy of the work are in perfect tune with my sensibility, as is its modest size. The catalog title is Ralph Coburn: Convictions; Architecture, Chance and Choice and was published by David Hall Fine Art in Wellesley, MA, where I'll be having a show in the spring of 2015, focusing on my textiles and drawings. Automatic Drawing, c. 1950; ink on paper, 8 1/4 x 10 1/2 in. 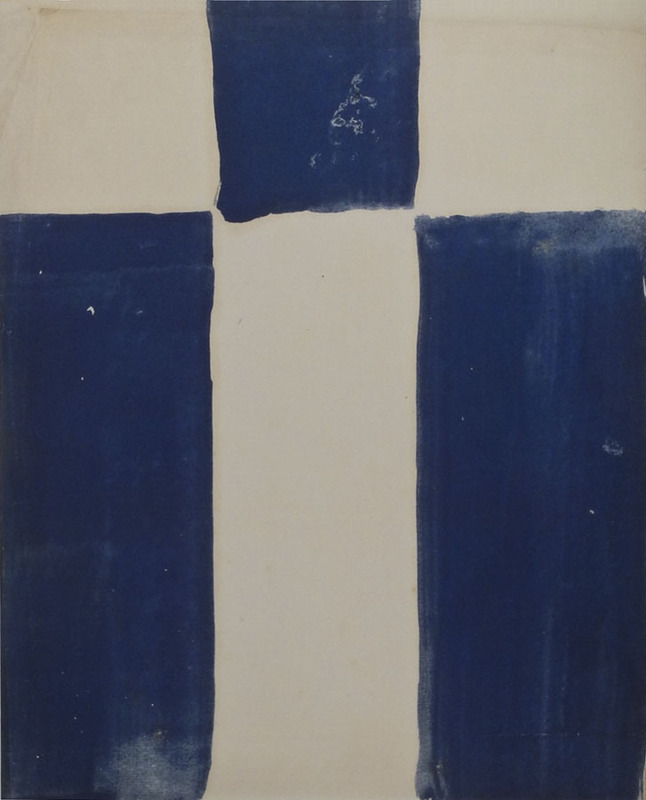 Coburn began his studies in architecture school at MIT, but realized he was much more interested in painting after meeting several students from the School of the Museum of Fine Arts, one of whom was Ellsworth Kelly; the two artists began a long friendship. Coburn became interested in various avant-garde ideas, such as the automatic drawing above. I like its direct and fresh line and intense color. Landscape Motive, Paris, 1949; india ink on paper, 10 5/8 x 8 1/4 in. I find myself totally charmed by Coburn's abstracting of the world around him. 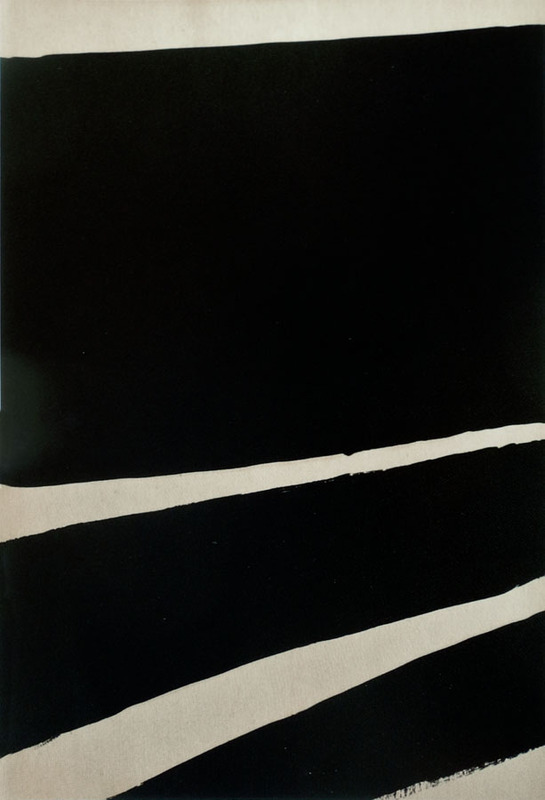 He made several trips to France between 1949 and 1956, when Ellsworth Kelly was living there. If you see a relationship between his drawings and Kelly's it's because they spent a lot of time together talking about art and about their work. In Landscape Motive and Reflections above, the simple irregular elements are perfectly balanced, but in an offbeat and unexpected way. 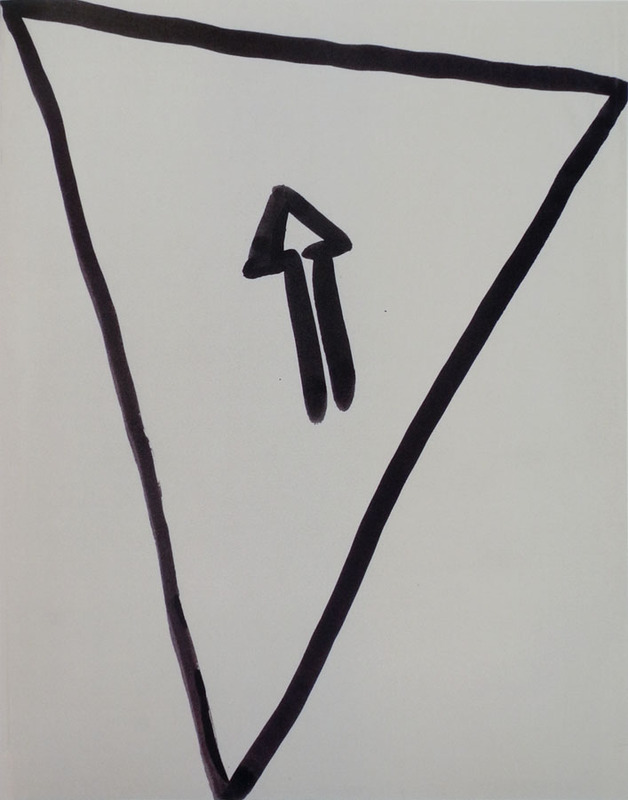 Sign, 1949; ink on paper, 10 5/8 x 8 1/4 in. Coburn looks at the world and sees shapes that energize a surface, and sometimes have a humorous attitude. Landscape, Paris, c. 1951; ink on paperboard, 10 3/4 x 8 1/4 in. Three black shapes, with the light of the paper, and we feel a surging space. 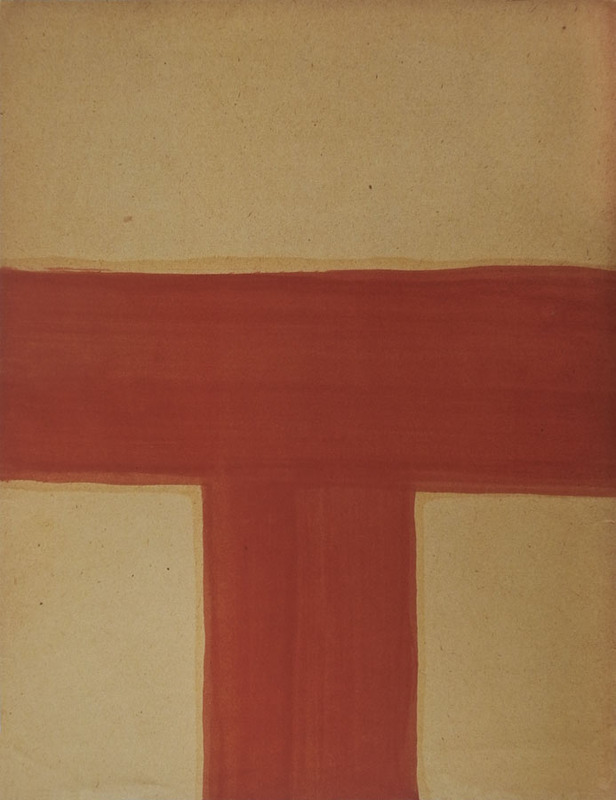 Abstract, c. 1949; watercolor on thin tissue paper, 10 1/2 x 8 3/8 in. 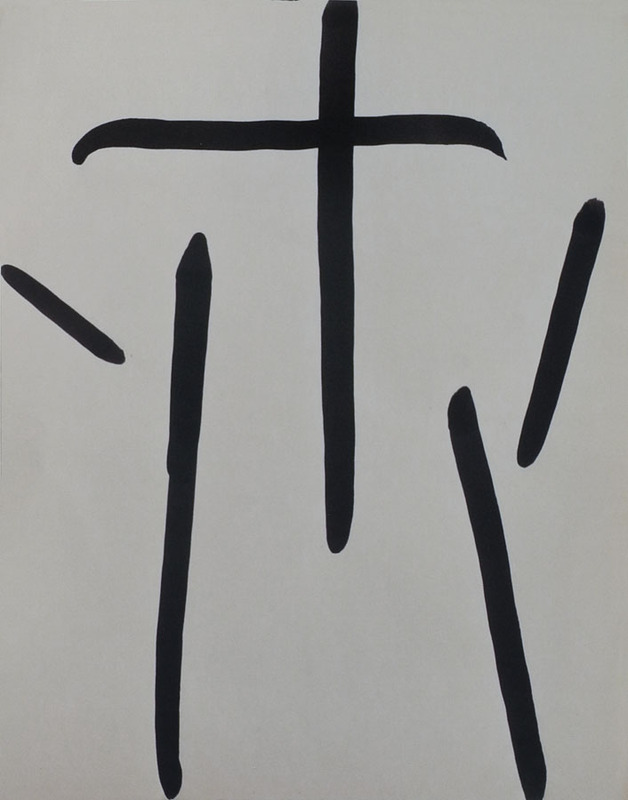 Abstract, c. 1950; oil on paper, 10 1/2 x 8 1/8 in. These two abstract works, looking like they were painted with a quick movement of a wide brush, have a powerful, direct presence that belies their small size. 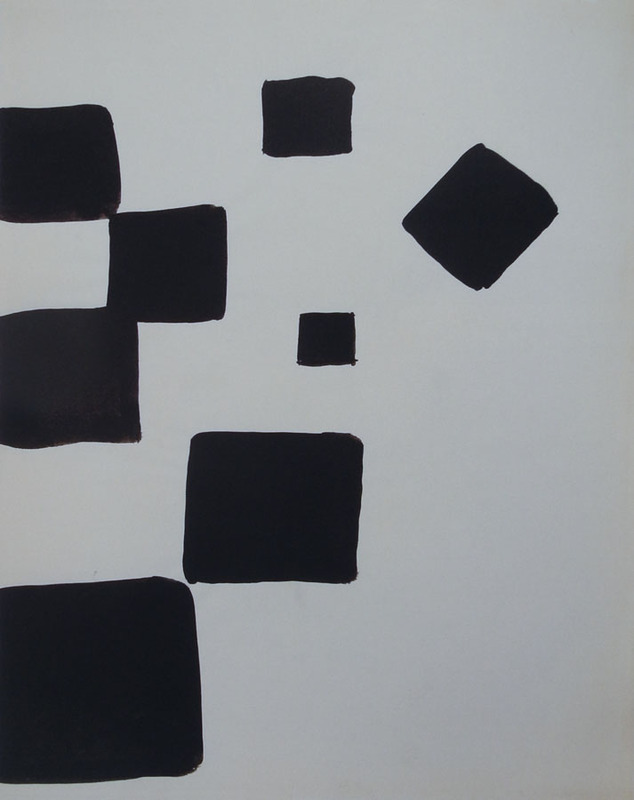 Composition, c. 1951; oil on paper, 12 x 9 1/2 in. Composition is similar to the two works above in its minimal elements, but because it's approached in a much more precise way it has a different character. A circle hovers between two openings, a solitary being/becoming. both c. 1950; oil on printed magazine page, 11 x 4 3/4 in. and oil on paper, 12 3/8 x 9 3/8 in. 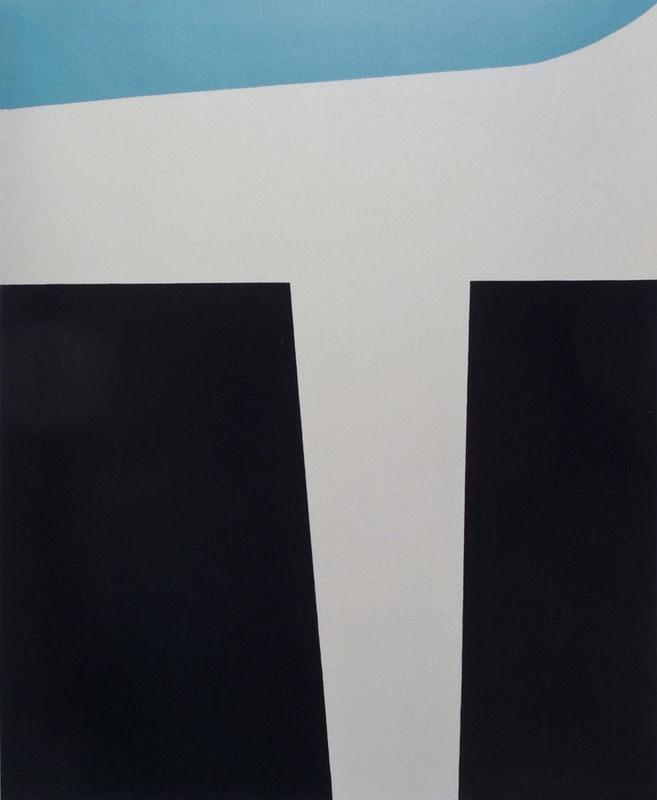 Sometimes Coburn's visual world included images found in advertising: here he painted over an ad found in a magazine, then he did another painting using just the negative spaces. The results have a surreal quality. 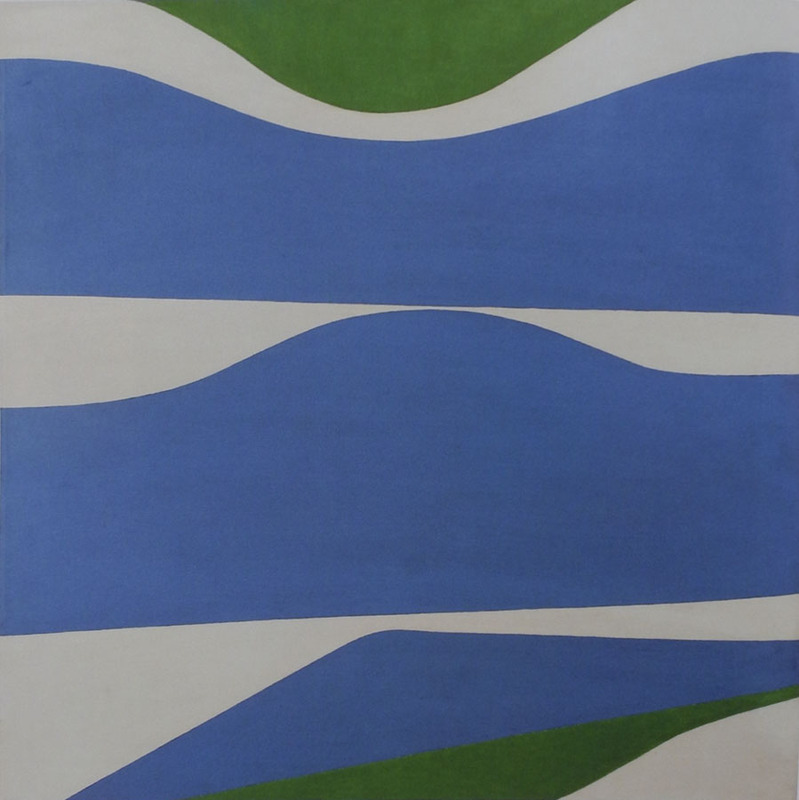 Blue, White, Teal, c. 1955; oil on canvas, 39 7/8 x 34 in. I like the flip flopping of positive and negative spaces in Blue, White, Teal. In reproduction, the dark areas look black, but must be dark blue. I like how the teal-colored shape sweeps up in a curve to end in the upper right corner, the only curve in this otherwise angular work; it pushes the eye up and out, then it is drawn back into the white crevasse. 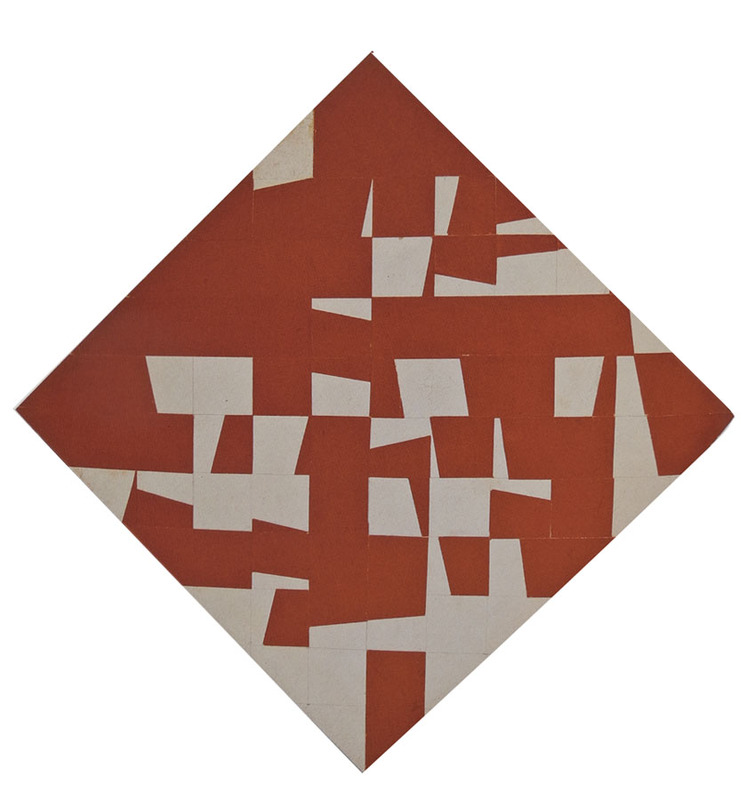 Collage, Sanary, 1950-56; paper on paperboard, 7 1/4 x 7 1/4 in. Coburn also worked with collage, as in this lively small piece. I get a sense of it being built, as though it was a city plan. 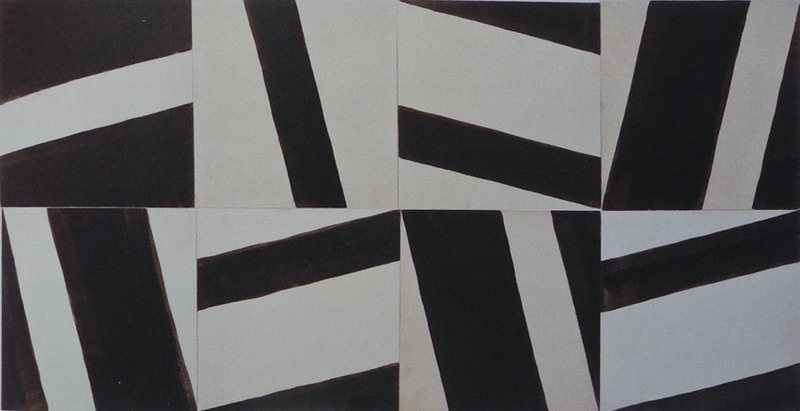 Arranged by Choice Composition, c. 1951; india ink on eight panels, 16 x 32 in. overall. 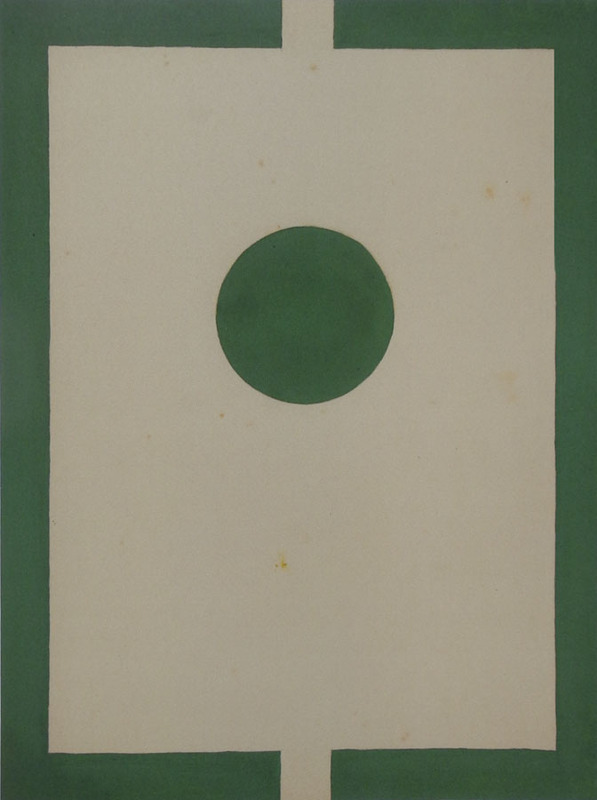 Sixteen Panel Moveable Composition, c. 1965; plastic resin with magnetic tape on metal-backed frame, 12 x 12 in. This shows two variations. .....just as this piece is. How wonderful to have a work that isn't fixed, but can be manipulated, and be constantly rediscovered. Lake, 1953; oil on canvas, 24 x 24 in. With Lake, we are back to the distilled landscapes, abstract forms found in the physical world. Coburn has perfect pitch when it comes to placing shapes on a surface: their relationships are in refined tension, the spaces between so carefully considered. The works I've illustrated are only a few of the many that I admire; what a treat it has been to discover Ralph Coburn's work. Wonderful post, Altoon. I love this work! Thank you for the introduction! I love your observations on the "Blue, White, Teal" painting, in particular. Thanks for the comments, Diane and Larry. I'm happy that this work touched you too. A New Painting: "Shadowed Triangle"
A New Painting: "Light Fingers"